Black History Month is recognized across the U.S., Europe, and Canada as a month to pay tribute to people of African descent who struggled with adversity and honor their contributions to history. But what about Black History right here in Frostburg? Frostburg’s Black History, like much of the U.S., starts with slavery. 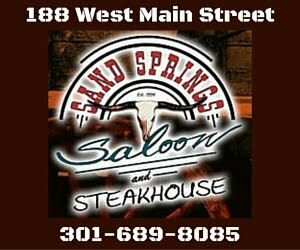 Slavery in Western Maryland was a common practice to support the stagecoach industry. Frostburg was a popular stop on the National Road and Frostburg had four stagecoaches that hosted about 200 travelers a day. Much of the stagecoach daily operations was powered by the practice of slavery. 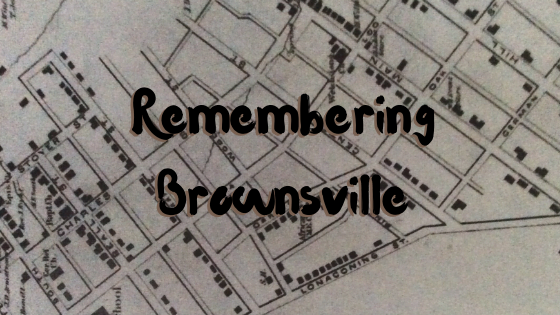 After emancipation, those formerly enslaved people developed and nurtured a community known as Brownsville. The first plot of land was purchased in 1866 by Tamar Brown and continued to develop into a self-sustaining community for freed black people and their descendants. With the first expansion of the Normal School (now Frostburg State University) in the 1920s, a pattern begins to arise. Brownsville properties that were originally purchased for over a hundred dollars and increased in value as families built homes on them, were purchased by the State of Maryland for just $10. At that time, $10 was the equivalent of one month’s rent. Documentation of this practice can be seen over several years as the school continued to expand. Many families and community staples were displaced as a result. As the community was forced out of the area, so was their memory. Fortunately, there are still some families from that original community that are still here and we can remember the rich history of Brownsville when we look around Frostburg today. As properties were taken by the state to expand The Normal School, Brownsville families were pushed to the periphery of the expanding campus. This means that Brownsville’s geography shifted over several decades and went up into the areas around Park Avenue and Mechanic Street in the early 1950’s. So what was in Brownsville? Black children attended the Lincoln School that stood where the former campus police building stands today. Next to the Lincoln School was the John Wesley Church. Apartments are there today. The Dickerson AME Church is likely the last remnant of the Brownsville community that is untouched and still operating. Many of our Frostburg natives still worship there. Brownsville was also home to the beloved Harper’s Parklane, which is also known as Harper’s Chicken. The Harper family ran the popular restaurant for 13 years. The Harper family briefly revived the restaurant in the late 1990’s calling it Harper’s. The Harper family is still here today and their restaurant has been the only Black-owned business on Main Street to date. FSU staff, students, and community members have pushed to have ceremonies honoring Brownsville and to erect a memorial educating those walking across campus about the people who lived there before them. We hope that every Frostburg resident and student will be aware of the history and struggle of our black community members and their ancestors who once lived and worked where we now stand. Frostburg has always valued history and heritage and now we need to learn how to repair, move forward, and build a united community.